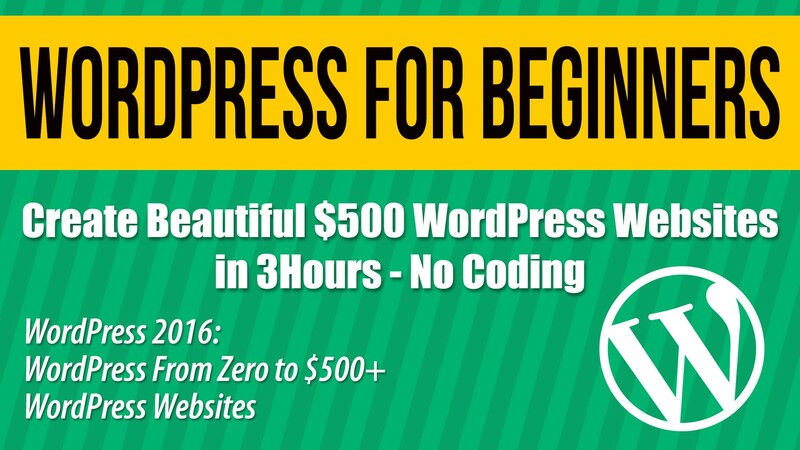 WordPress From Zero To Beautiful Websites - For Those With No Money, No Time, No Patience. WordPress for beginners: Finally a simple way to create beautiful $500+ WordPress Websites in a step-by-step way for those with no time, no money and no patience. Ideal for local business owners, consultants and coaches, authors, and those who simply want to earn an income online. In this video course you will discover 10 Easy Ways to Make Money with your new, easily and quickly learnt WordPress skills. Unlike other beginner WordPress courses, we cover topics that are key to creating professional-looking websites for others as a service business and charge $500 or more. Would you like to see how people just like you earn $37,000 for simple WordPress skills? Adding Website Menu, Logo, Contact us Forms.